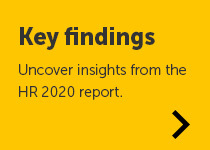 We are delighted to announce the launch of our latest HR 2020 report, outlining the next step in Eversheds Sutherland’s study into the future of the HR function. This year’s report, produced in partnership with business intelligence specialists Winmark, canvassed the views of 126 senior HR professionals across Asia, Mainland Europe and the UK, building upon 2015’s insights from 75 HR Directors and non-executive directors in order to examine the future of the HR function, and the HR profession’s potential to redefine its role at a more strategic level. The 2017 report provides additional insight into social trends; technology and innovation; macro-economic and political trends; benefits; HR priorities; regional differences; and steps to operate more effectively. It is our belief that HR’s success will continue to be measured by its mastering of the language of the board, though this would require an ability to measure and commercialise its value to a level that has not yet been achieved. By scanning the horizon for important developments, by forming courses of action in partnership with the rest of the business and by developing relationships with non-executive directors, HR has the opportunity to reinterpret its role to be more effective. Only by adopting the language commonly used by finance, risk and other senior executives will HR professionals enhance the board’s perception of the function. In doing so, HR will eventually find itself naturally positioned at the right hand of the c-suite, finally able to articulate its true value at a level proportionate to the needs of the organisation as a whole. We hope our latest report becomes part of a toolkit to put your HR function on the road to being a key strategic partner in the boardroom of your organisation. 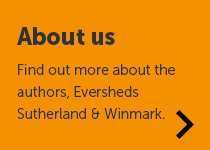 If you have any questions about the report, or any of the findings within it, please feel free to contact your usual Eversheds Sutherland contact or email hrgroup@eversheds-sutherland.com.